If you’re looking for new ways to better your business or boost your startup’s product in the new year you’re in luck. We’ve done all the hard work for you and listed the best startup conferences in North America. Here’s the best tech conferences taking place in 2018 you won’t want to miss out on. CES is one of the top tech conventions in the world. Since launching in 1967, it has served as the testing ground for new innovators and breakthrough technologies. Up-and-coming entrepreneurs have a chance to preview their company’s latest offerings to a bevy of international media, investors and businesses. On top of that, hourly networking, lunch and learns as well as marketing sessions round out the event making it beneficial for both seasoned and new entrepreneurs alike. TechCrunch Disrupt NYC is often seen as one of the best tech conference on the east coast, and for good reason. It features pitches from up-and-coming startups, world renowned speaker, and onsite demos. For Canadian entrepreneurs who qualify to work out of DMZ’s new office in New York City’s financial district, it’s a great opportunity means you have a dedicated workspace and meeting rooms throughout the week. The exclusive Code Conference brings together the best tech innovators from across the globe. Some of the biggest names in business — like Jeff Bezos, Elon Musk, Marc Andresson and Sheryl Sandberg, for instance — gather together for in-depth conversations about the current and future impact of digital technology. The event is invite-only, but entrepreneurs can apply to attend the conference starting in January. Bonus: The series offers those lucky enough to attend the chance to hobnob with some of the biggest names in tech over one week. There aren’t many tech conferences aimed at women that are bigger than Forbes’ Women Summit. Over the years, the event has featured a roster of the industry’s most successful women entrepreneurs, lifestyle guru Kim Kardashian West, SpaceX president & COO Gwynne Shotwell and Little Lotus Baby founder Jane Chen. The summit is one of the few all-star conferences designed to empower and support women entrepreneurs and influencers. For those lucky enough to attend, it can be a great opportunity to learn from some of the biggest names in the world and network with industry heavyweights. A good conference is about more than just hands-on showcases and displays. A great event will push participants to be better and inspire those in the audience to try new things. While TEDxToronto isn’t exclusively focused on technology its seminars, presented by local influencers, tackle subjects and ideas that impact every facet of life and often touch on business in some form. These profoundly inspiring talks deal with everything from company leadership to career motivation and entrepreneurship. Last year’s speakers included Paul Rowan (co-founder of home design store Umbra), Gimmy Chu (co-founder of green technology startup Nano Leaf) and Peter Sloly (partner at Deloitte Canada). Of course, Torontonians who can’t afford a ticket can also watch highlights online in the weeks following the event. *According to last year’s prices (excludes tax). This three-day conference in the heart of Toronto is designed with techpreneurs in mind. Founders from Canada’s top companies are on site doling out advice, guidance and tips to those lucky enough to score a ticket. Toronto entrepreneurs can also rub shoulders with influential government officials and meet with some of Canada’s top tech CEOs and influencers on their home turf. Last year, those willing to splurge on an all-inclusive weekly pass were also able to tour and meet with employees at some of Toronto’s most innovative tech companies. If you consider yourself a professional who works in both marketing and technology, then Mesh Marketing could be the most useful conference you attend all year. This one-day schmoozefest deep dives into operational issues and discusses strategy-focused topics to help individuals better understand today’s top marketing technologies. Although, some of the best perks are found in its invite-only networking events that take place after the conference where you can meet, chat and engage with marketing leaders face-to-face. SpaceX. Blue Origin. Virgin Galactic. These are just a few of the high-profile businesses set to disrupt the multi-billion dollar commercial space industry in the coming years. While they may not be well known to the general public some of today’s most successful entrepreneurs — Elon Musk, Jeff Bezos and Richard Branson — are sinking millions into this new-age market. Investment in the industry is taking off and it’s not hard to see why. Cheaper products, lighter materials and better engineering is making it possible for companies to explore the final frontier like never before. According to CNBC, investors pumped $2.8 billion into space-related businesses last year. Today’s most prominent space enterprises range from one-stop satellite shops to do-it-yourself space travel companies. Kepler Communications is one of the few Canadian startups competing (and succeeding) in the cut-throat business. The business creates a in-space telecommunications that help satellites better communicate when not near a ground station.. In layman terms, they’re simply, we are building cell phone towers in space. Of course, that doesn’t mean it’s easy for newcomers hoping to succeed in the industry. It’s a capital intensive market and often requires deep pockets to fund research and launch costs that can run in the hundreds of thousands. Thankfully these days a series of space-focused accelerators and incubators are hoping to fix that. In the last five years, global programs — like Starburst, Space Startup Ecosystem, Lightspeed — have focused on helping astropreneurs get their business off the ground. While the future is always unknowable an increase in the support and networks available for entrepreneurs is a good sign for a market on the rise. To learn more about the growing space market and how Canadian co-founder Mina Mitry found success listen to the latest BusinessCast episode, hosted by Robert Gold above. For more from BusinessCast, make sure to visit our official iTunes page. Toronto is one of the top tech cities in the world. Our influence is felt around the globe and for good reason. The city of 6.2 million is the largest in Canada and home to a long list of successful companies that range from artificial intelligence startups to fintech firms. Although, what sets us apart from our international competitors goes far beyond just our award-winning tech hubs and multi-million dollar trade pacts. Our secret weapon lies in our diversity and generous welfare system. It’s these feature that give founders behind tomorrow’s game-changing companies a chance to pursue their dreams and recently helped attract top talent and companies from south of the border. But, that doesn’t mean there isn’t room for improvement. We need to learn how to better collaborate and create lasting partnerships with other Canadian tech institutions. Through this, we can ensure our startups benefit from any new innovation taking place within our borders. The beauty of Toronto lies in the fact that we’re not Silicon Valley North or a replacement for San Francisco. We are Toronto and proud of it. To read the full story, visit Huffington Post by clicking here. Finding the right gifts for loved ones can be tough. If you’re stuck on a budget, buying the perfect present — that’s both useful and functional — can seem almost impossible. Thankfully, we’re here to help. Whether you’re shopping for a banking billionaire or a teenage mogul in the making, these gifts are bound to please. Take a look at our list of top suggestions for $50 or less below. 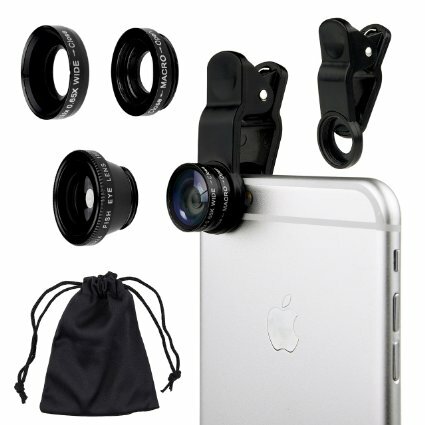 This affordable kit is the perfect present for entrepreneurs who rely on their camera for professional-looking pictures for both work and play. It’s high-tech band and lenses are compatible with smartphones and tablets and easily sync to Bluetooth so users can share photos wherever they are. If you’re in need of a fashion-friendly USB port look no further. 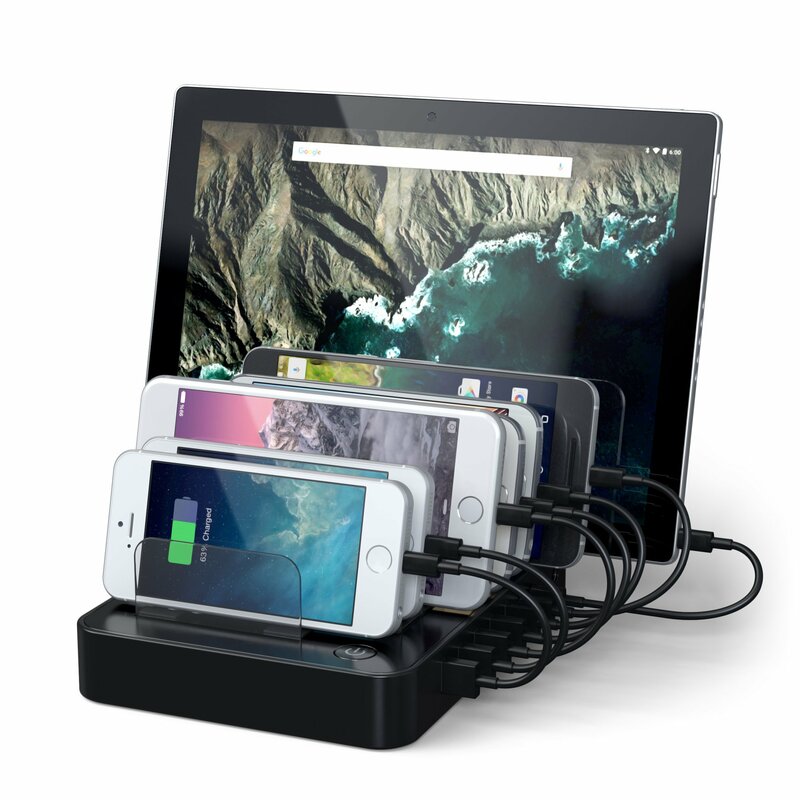 The Satechi charging hub can accommodate up to seven devices at one time and includes velcro straps to prevent cable clutter. It’s sturdy enough for even the clumsiest entrepreneur and comes with surge protection, anti-scratch silicone pads and a five-year warranty to guarantee you’ll only be one outlet away from a full charge. 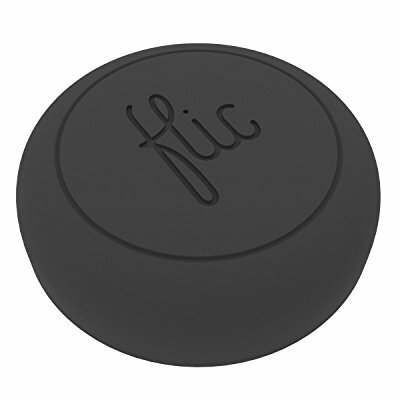 This Bluetooth-enabled button may look unimpressive at first glance but can automate almost any function or device in the office and home. Once placed on a wall or hard surface it can be programmed to regulate everything from control temperatures to dim lights and even send texts using the device’s mobile app. Bonus: It’s weather-resistant exterior and comes with a two-year battery life. Looking for a cheap tablet that does it all? 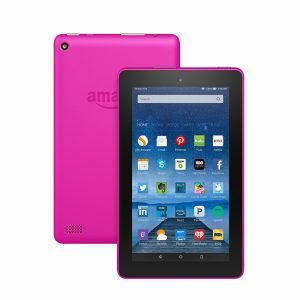 Enter: Amazon’s Fire 7 tablet. The device is thin and lightweight making it more than suitable for busy entrepreneurs on the go. It also boasts a 1.3GHz quad-core processor, eight hours of battery life and access to Alexa, the company’s digital assistant. It’s never been easier or cheaper to find dependable external storage for your computer. If you’re willing to spend a bit more this season, the Seagate 1TB external hard drive is a gift any entrepreneur will appreciate and works with both PCs and Macs. 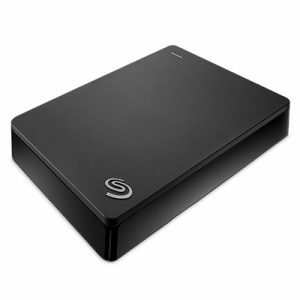 It features a solid-state drive (or SSD), which uses flash memory to store data faster, and provides 1 terabyte of space for all-important documents, movies and other media. Layoffs have become fairly common in the Canadian journalism industry. Last month approximately 290 journalism jobs were eliminated and more than two dozen community papers across the province shuttered. That’s in addition to the dozens of other layoffs that took place at prominent outlets — Maclean’s magazine, BNN, Ottawa Citizen, Montreal Gazette and more — this year. Since 2010, the news industry has seen a steady decline in print newspapers and local journalism. A 2017 Public Policy Forum report found that last year fewer than one in five Canadian households purchased a newspaper and television news revenue has dropped about 10 percent every year. Meanwhile, in the last seven years, approximately one-third of all Canadian journalism jobs have disappeared. As news organizations continue to fight for survival, many are looking outside of the industry for new opportunities. Some of the industry’s biggest brands are betting on journalism-tech hybrids and media entrepreneurs to help it adjust to the changing marketplace. Today’s downsizing, even at some of the country’s largest publications, isn’t unusual. Legacy news organizations are grappling with falling ad content, increased online competition and an unsustainable revenue model. In order to reverse the industry’s failing economics a new business model is needed. Some of journalism’s top influencers agree. They’re working hard to instil the same type of Silicon Valley spirit that transformed the tech industry within journalism. For example, the Knight Center for Digital Media Entrepreneurship program encourages its students to develop new “digital media products.” City University of New York‘s Entrepreneurial Journalism certificate program gives students hands-on journalism and tech training they need to start a successful media business. “Front-end media entrepreneurs are creating news content — from comics-journalism apps and digital voter guides to state watchdog initiatives. Back-end entrepreneurs are building mobile apps, scraping data, and automating tasks.” @janjlab of J-Lab. In Canada, tech and news stakeholders are doing the same. This week, the DMZ — the number one university-based incubator in the North America — launched the Digital News Challenge Innovation Challenge. The initiative is a joint partnership with the Ryerson School of Journalism at FCAD and the Facebook Journalism Project. It will provide early-stage tech companies with the tools they need to push their startup to new levels. It’s hopefully a telling sign of more positive changes to come in an industry still trying to find its footing. The financial troubles facing Canada’s journalism landscape aren’t unique. Journalism outlets around the world are encountering the same difficulties. Even longstanding institutions, like the New York Times, have seen a decline if not outright collapse over the years. For instance, this year the NYT added 308,000 new digital subscribers in its first quarter, likely buoyed by the Trump presidency. It also saw its digital revenue rise by a whopping 18.9 per cent. Despite these bright spots, its print revenue advertising — the company’s biggest money-making metric — fell by 17.9 percent. It’s not all doom and gloom, though. If newspapers can support emerging media startups, media companies in Canada can flourish and avoid a similar fate. A 2017 journalism report found Canada’s ingenuity and adaptability in face of strong U.S. competition is its secret strength. So, what does this mean for the future? Mediapreneurs that create a product that gives readers access to more online opportunities are set up to win. Thankfully, it’s never been easier for small firms to enter the media space. Digital startups that have found multimillion-dollar success, like Canadaland and Buzzfeed, prove that journalism startups can win if given the chance.